Recently i made a try on Google Chrome – a free open source web browser developed by Google and the beta version of it was released on 2nd of September.Here is the comic by Scott McCloud that was released during the release of Google chrome that explains the need for Google chrome. I felt it has high speed and responsiveness compared to other browsers.Another feature that impressed me a lot is that the address bar and the search are integrated and the suggestions were applied for both the addresses and the search(In Google’s words: One box for everything).Its a pretty cool feature in Chrome.Every new tab in Chrome shows the thumbnails of most visited websites.The tabs in chrome can be dragged out of the browser and can be had as a separate window.The vice versa is also possible.While clearing the browsing history, there is an option to clear the history from particular period instead of clearing everything. 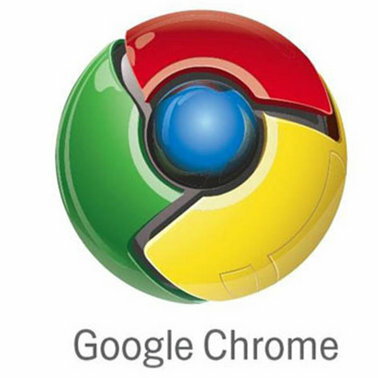 Another is the task manager.Chrome is a multi-process browser.The website in each tab is considered as a separate process.The task manager displays memory usage,CPU usage and network usage of each process(website).Hence if there exists a problem with any of the web sites there is no need for closing the entire browser, its enough to end that particular process(website) using the task manager option.I also read that IE8(beta version) has also come with this multi-process approach and heard its not as robust as Chrome.I havent tried out IE8. I cant reason out why the title bar disappears when the window is maximised.The is no fixed status bar in chrome.A light status bar pops up at the left bottom of the window during the page load or when there is a hovering over a link.Also heard of some issues like chrome crash when some special characters are used.I am not sure about it as i didnt face such problems yet.Awaiting for the next release of chrome hoping it would come with add-ons,themes as in firefox and with better development. Its long since i blogged.As a part of my career, I was attending the Intial Learning Program conducted by TCS from August 20 at Bhubaneswar.We were introduced to a language called Scheme which is a variant of Lisp.Dr.Scheme is the IDE that we used for programming in Scheme.Dr.Scheme has some features of Emacs integrated in it.Scheme was pretty easy. Had different experience during ILP with people from different states.Had lot of fun too both at villa and in office.All of us had a trip to NandanKanan Zoo.Then we visited few places like Konark,Puri temple and Piply where we bought some handicraft items.Missed few places like Chilka lake due to shortage of time. Fed up sometimes when we were made to have chappathi as daily food.Missed the south indian food a lot.Any way curd rice at Misky satisfied me at times 😉 I would have been trapped if i didnt have friends who know Hindi with me.Missed tamil tv channels a lot. The places were greenish in and around Bhubaneswar,Ever raining,Early bird and Early Owl.Any way life was good.Finally got posting in Chennai.So now am in home and wanna join on 29th and have to complete my second phase training in java stream at chennai.